At Bamboo, we’re always looking for ways to make it easier for professionals to get lunch and coffee. We’ve seen thousands of happy customers place orders each week, which is why today we’re announcing Bamboo for Business — the easiest way to manage employee lunches. 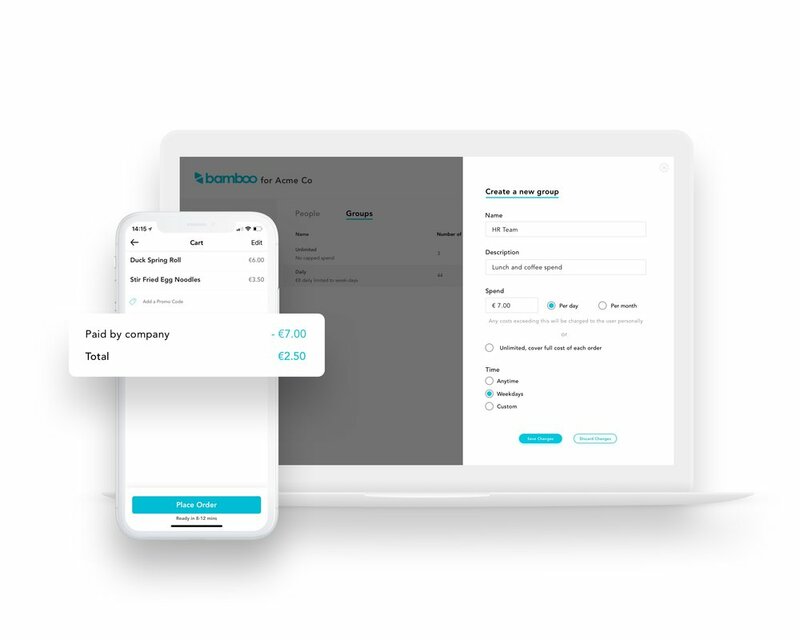 A little over a month ago we announced our shiny new version of Bamboo, it’s made the app faster, our rewards program easier to understand, and general usability better. These updates and new releases are a product of hours of feedback and surveying, conversations with our users and people we feel could be our users. The original problem we looked at from the start was that the average employee spends the first 15–20 minutes of their 1-hour lunch, waiting to order their lunch. That works out over an hour a week of an employee’s break being taken from them. Then we looked at what that means for an organisation. If you’re a team of 60, that’s 60 hours a week of employee time being wasted. You can do the math for the weeks and months, but the point is it’s inefficient and not ideal for anyone. You can order in catering from a set menu, but you’ll never satisfy everyone and you’ll end up paying for wasted food. You can get delivery but let’s be honest, it’s expensive and you’re going to be confined to walls of your office for the whole day. This is why we built Bamboo for Business. Employees can enjoy lunch and coffee on their own schedule. They can order, pay, and earn rewards from their desk and be in-and-out of the restaurant or cafe in seconds. They can choose from an abundance of great lunch and coffee spots immediately around their office, grab, go and enjoy the rest of their break with their co-workers. We’re opening for beta this week and we will be rolling it out to all businesses very soon. To join our beta click here and start saving your team hours every week. We’ll make your employee lunches easy to manage and loved by your employees.